CTA spoke with Judith A. Paice, PhD, RN, to better understand how clinicians are reacting to these legalizations and how she responds to patients asking about cannabis use. Arkansas, California, Florida, Maine, Massachusetts, Nevada, and North Dakota approved some form of marijuana initiative on Election Day 2016, potentially reducing barriers for patients with cancer hoping to use marijuana to relieve symptoms of pain or to increase appetite as an alternative to approved medications. On November 8, voters in California, Maine, Massachusetts, and Nevada approved initiatives for the legalization of marijuana, while people in Arkansas, Florida, North Dakota voted to approve marijuana for medical usage. Voters in Montana also approved an initiative to repeal a 3-patient limit for medical marijuana providers. The American Society of Clinical Oncology (ASCO) does not have a position on the legalization of marijuana, though the psychoactive drug is listed as a potential adjuvant analgesic and as a possible management strategy for refractory pain conditions in the ASCO clinical practice guideline for the management of chronic pain in survivors of adult cancer. Based on intermediate quality of evidence, ASCO recommends that clinicians follow specific state regulations that allow access to medical cannabis or cannabinoids for patients with chronic pain. 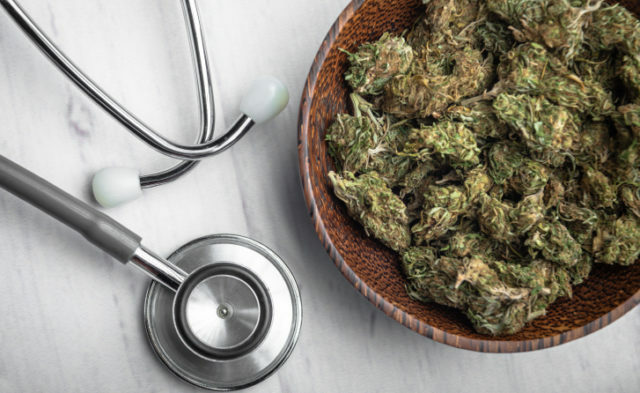 Cancer Therapy Advisor spoke with guideline author Judith A. Paice, PhD, RN, a professor of medicine at Northwestern University Feinberg School of Medicine and an oncology nurse at Lurie Comprehensive Cancer Center in Chicago, Illinois, to better understand how oncology clinicians are reacting to these legalizations and how she responds to patients asking about cannabis use. Cancer Therapy Advisor: How often do patients ask about marijuana use and for what reason are they asking? Dr Paice: Patients frequently ask about the use of marijuana or cannabis. One reason they are asking is that they have unrelieved symptoms. They might have adverse effects to the medications that we are providing to treat their pain or other symptoms. For example, because opioids cause constipation, people are looking for alternatives to traditional medicine. Because there has been so much media attention to the cannabinoids, people think that they must be really quite effective.